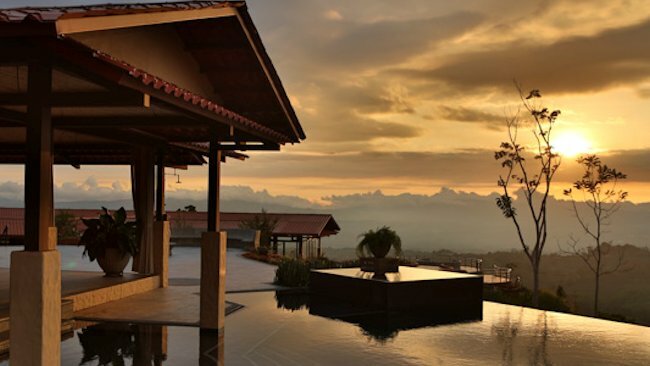 This lush new Boutique Hacienda sits high in the mountains of Pérez Zeledon, in the southern region of Costa Rica, in what is one of the country’s best and last, to be-discovered, hideaways. 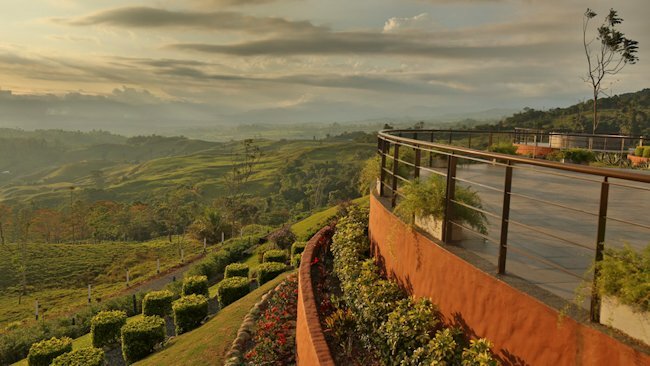 In the Valle de El General of what is the last almost unexplored area in Costa Rica, AltaGracia was born as the only “Boutique Hacienda” in the country, open to a selected public seeking to welcome each guest in their own unique and personal style. 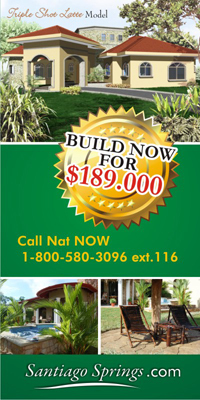 Like that of a true Hacienda, its house-style welcome is what defines it. Encouraged by the life led by those that enjoy the true wonders of hacienda living, gourmet eating and Spa life, it was the missing piece for the affluent traveler in southern Costa Rica. Guests can choose to be picked up by elegantly saddled horses, plane side, as they land directly at The Hacienda, or enjoy custom-made tours that will take them whale-watching 10 meters off the water’s surface on its own private fleet of ultra lights. During their stay; guests will also enjoy over seven dining options, each with its own personality, menu, china and glassware. Everything from in room eye opener baskets are delivered to your doorstep with custom made pastries, coffee, tea, hot chocolate and bread to fire pit side dining can be enjoyed. The property has a total of 350 hectares of which only 38 have been used for construction, which offers trails for walking or riding with a spectacular view of the “Valle del General”. 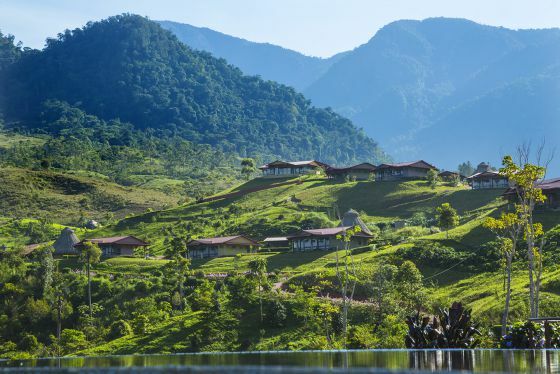 The weather is always appealing with days that are warm and sunny, and evenings which are cool and fresh, as AltaGracia also welcomes and embraces the mountain rain, which automatically turns the Hacienda into its own Cloud Forest at night. AltaGracia is just two and a half hours by private and comfortable transportation from the international Airport of San Jose via a scenic road on its private fleet of luxury vehicles. The resort can also be reached by private plane, by a short 25 minutes flight, which arrives directly on the resort’s own airstrip or helipad, also aboard its own exclusive line of airplanes and helicopters. 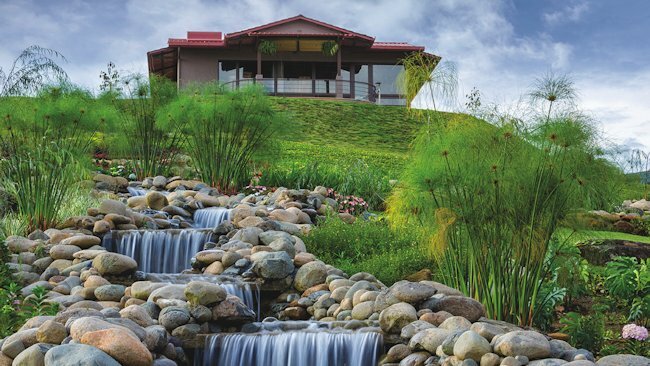 While at AltaGracia, its guests can be as adventurous as they wish and choose between working out in the largest and private cross fit Course in Costa Rica, which traverses over its own 3 rivers, stables and mountains, or choose to get inspired to live by just sitting in its Casita terraces while the Calientillo river streams down its side. All pools are also filled with natural spring water and it prides itself in being a 100% non-smoking property. With "Salus Per Aquam" or "Sanitas Per Aquam" the meaning of SPA at its core, ("health through water”) AltaGracia's Spa will embrace the power of H2O. Besides being the largest in Central America and larger than most of South America, it features 2 saunas, 2 steam rooms and 2 Vichy showers. Complete with 8 indoor stunning treatments rooms and the most magnificent roman pool with 2 in-pool Jacuzzis, it sits under a two-story atrium and boosts 180 degrees of unobstructed views. You can also enjoy 4 additional fully equipped outdoor treatment gazebos along the meditation trail accompanied by the murmur of the downstream river that cascades on the spa side of the property. For a country plagued with red tape and laws difficult to understand, our hats are off tothe 'Esquivel' family, for their hard work and perseverance! The ‘Esquivel’ family has been tremendously and deeply involved in the San Isidro area for over two generations, an area that was once only known for its agricultural richness and the genuine heartfelt kindness of its beautiful people. We welcome our new Jan 2015 neighbor! As the crow flies the new boutique Hacienda Alta Gracia is less than 5 miles from Santiago. Grupo Lecona © Santiago, Pérez Zeledón | All rights reserved.